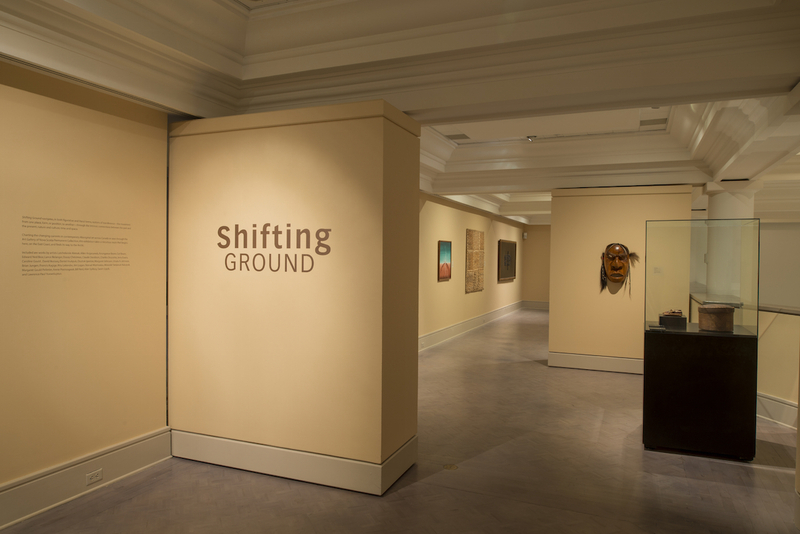 Shifting Ground navigates the intrinsic connections between the past and the present, nature and culture, time and space. 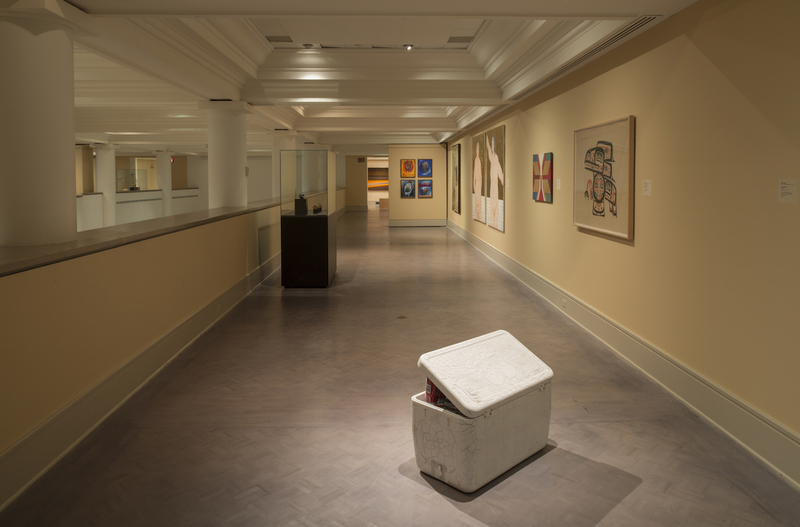 Charting the changing currents in contemporary Indigenous art across Canada as seen through the Art Gallery of Nova Scotia Permanent Collection, this exhibition takes a circuitous route that begins here, on the East Coast, and finds its way to the Arctic. 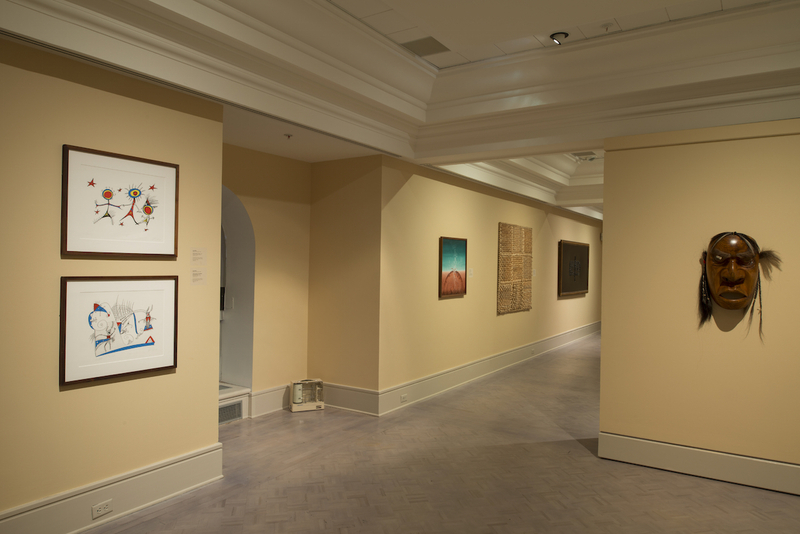 Included are works by artists Latcholassie Akesuk, Allen Angeconeb, Anongonse Beam, Carl Beam, Edward Ned Bear, Lance Belanger, Dozay Christmas, Claude Davidson, Charles Doucette, Jerry Evans, Caroline Gould , David Ikutaaq, Daniel Inukpuk, Osuitok Ipeelee, Margaret Johnson, Ursula A. Johnson, Brian Jungen, Francis Kagige, Rita Letendre, Jim Logan, Norval Morrisseau, Mosusie Tarqiasuk Naluiyuk, Margaret Gould Pelletier, Annie Pootoogook, Bill Reid, Alan Syliboy, Sarah Uppik, and Lawrence Paul Yuxweluptun.